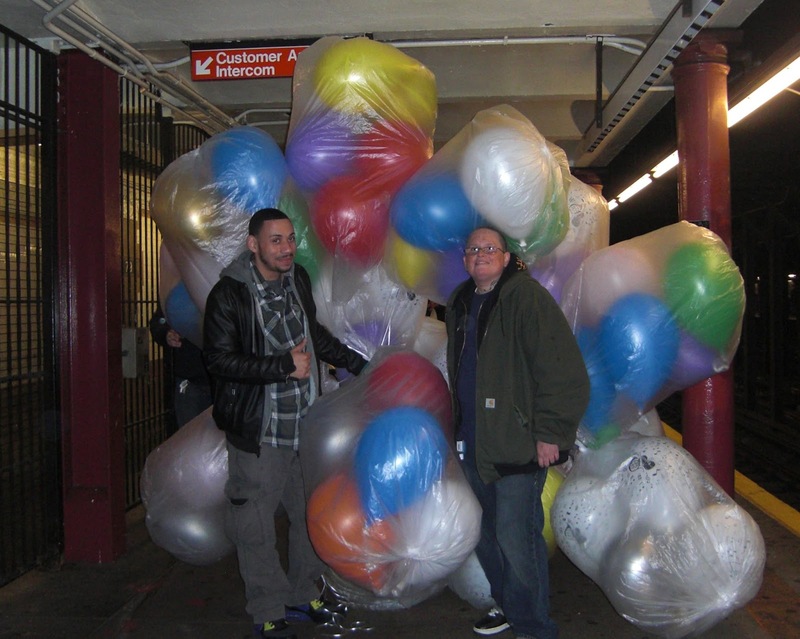 Stepping off the subway at 79th Street, a disembodied mass of balloons floated towards me. No, wait---there was a set of legs, and then another set. Two guys holding many dozens of balloons came towards me. 138, to be exact. I asked. They had been in the last car. I wondered they got on before the doors closed on the balloons. They planned to sell the balloons over by the Natural History Museum. They posed for me, happy and full of the promise of the money they would make. "But how will you even get out of the station?" I asked. They laughed and said their was a "secret exit" at the far end. I wished them luck but did not follow. It was just another day on the subway in New York City.